The 7th Amsterdam Light Festival has started, with this year’s theme being ‘The Medium is The Message‘. 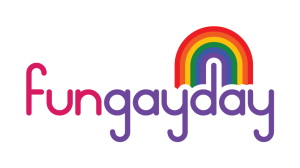 Just like last year, FunGayDay is organizing a boat tour through the canals, to enjoy the light spectacle from the water. There will also be a dinner opportunity, before we go on board. boarding at the Hermitage on our ‘own’ boat The Lounge. We will have a hostess and a guide on board. The boat is covered and heated, and has an open air rear deck. Costs are €65 for the whole program, or €37,50 for only the boat package. NB: the number of places is limited, so do not wait too long. Please reserve before December 31, by transferring the right amount to NL22 BUNQ 2025 5358 21, of Stichting FunGayDay. We will then put you on the guestlist. Also, please send a mail with confirmation of number of guests + choice of program to Alfred@FunGayDay.nl. We hope to see you at the ALF!